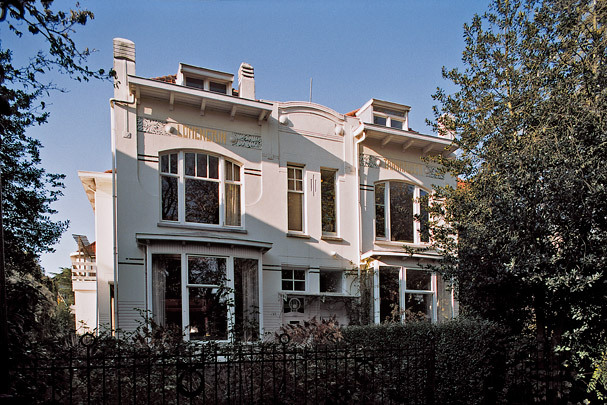 In 1904 a local entrepreneur, Johan Dulfer, bought Villa Nuova on Vijverlaan in Kralingen. He changed the name to Villa Wagner and commissioned the young architect Jan van Teeffelen to design a group of five palatial houses. Their names, taken from Wagner operas, are emblazoned in gold lettering on the white-rendered facades. The houses possess elements of Art Nouveau. In 1909 Van Teeffelen went on to design the Villapark at Noord railway station in Hillegersberg in the north-east of Rotterdam.